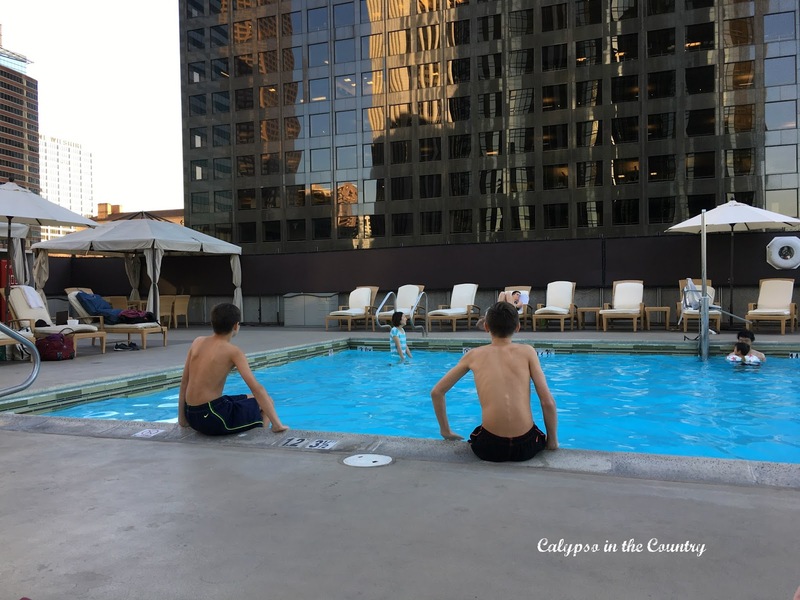 We tried to pack in as many fun family activities as we could during our long weekend in Los Angeles. Today, I will share Days 3 and 4. 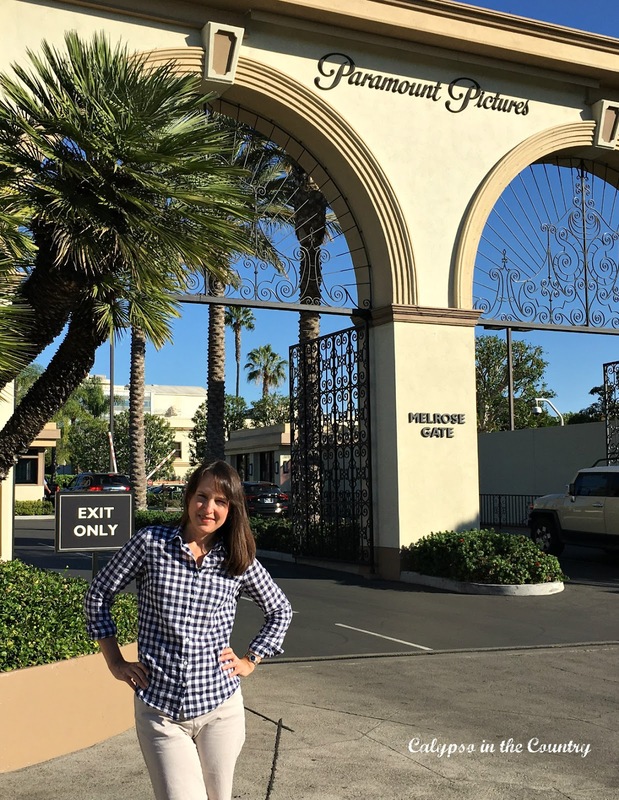 Before leaving for our trip, I booked our tour of Paramount Studios for Friday morning. 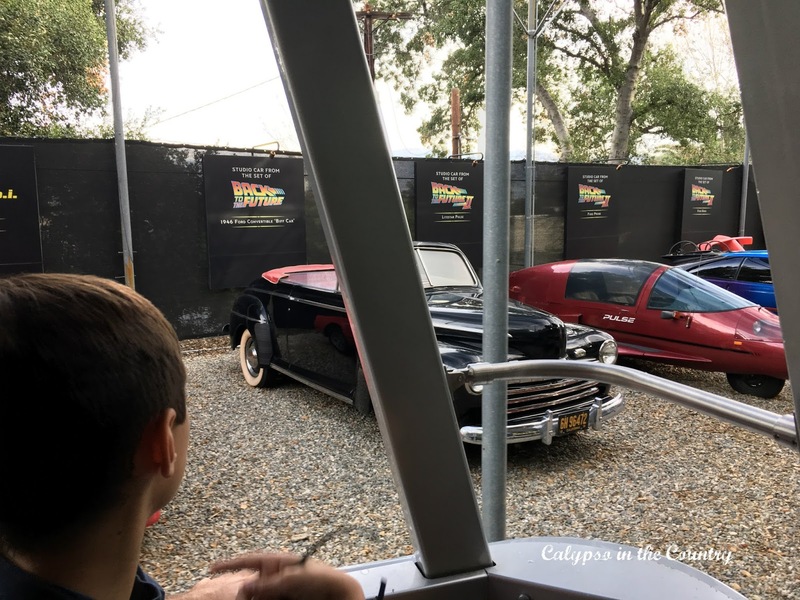 This was one tour we didn’t want to miss because my kids are huge fans of a couple of their shows – The Thundermans and Nicky, Ricky, Dicky and Dawn. I thought that choosing a weekday over a weekend for our tour would give us a better chance at catching an actor or two. 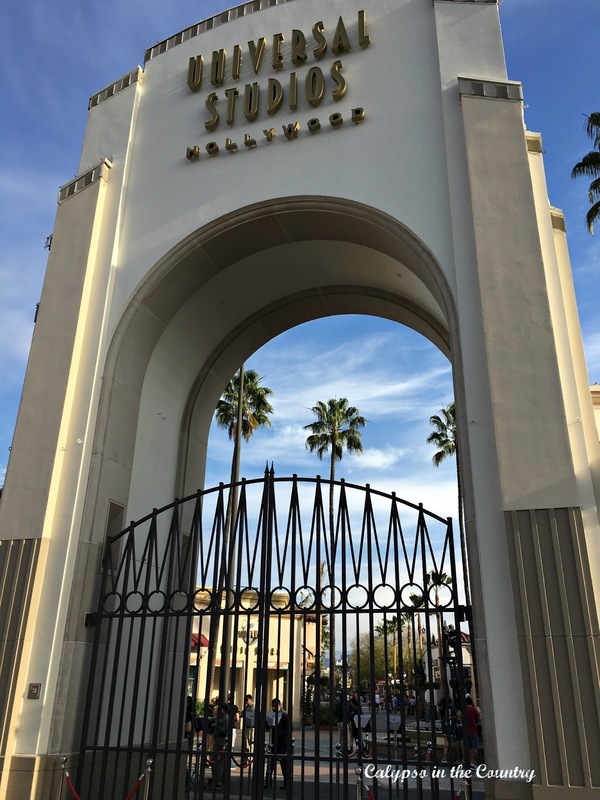 Also, I knew that Paramount Studios is rich in Hollywood history and I had a feeling we all would enjoy the tour. We arrived for the first tour of the morning and were able to spend a few minutes in the lobby while we waited for our tour guide. 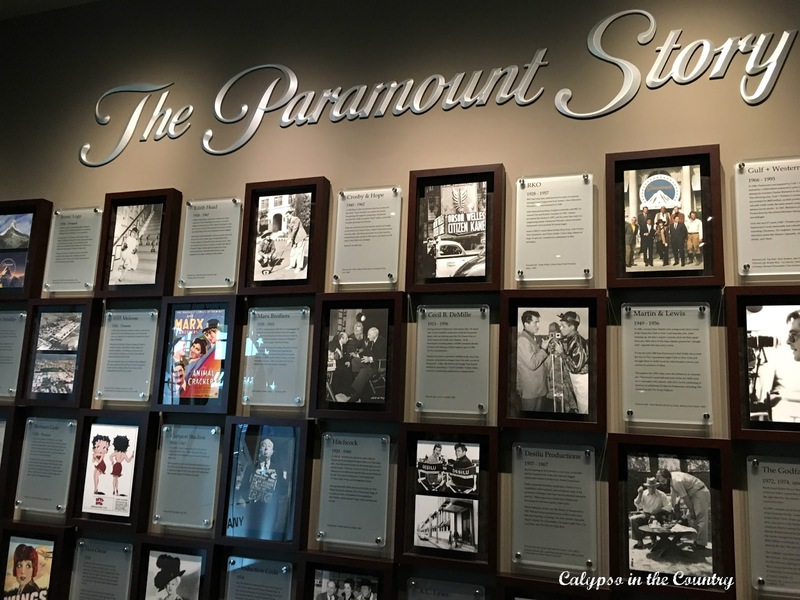 The lobby was filled with movie memorabilia and interesting facts about Paramount’s history. We loved reading the Paramount Story wall. From the second our tour guide, Tyler walked in the room, I knew we were in for a great tour. It was apparent by his enthusiastic personality that he loved his job and was determined to give us a memorable experience. With only 7 of us on the golf cart, the tour felt so intimate and personalized. This is the iconic Bronson gate you probably recognize. I cropped out the fountain you normally see in front of it because it was covered up due to repairs. Tyler drove us around all the lots and explained so many different aspects of movie magic. This may look like just a parking lot but actually this area dips down in the center and has been used for many ocean and water scenes over the years. They filmed the parting of the Red Sea in the Ten Commandments here along with many other movies. To the right is a fake sky used in various backgrounds as well. This area is known as “Lucy Park” named after Lucille Ball. 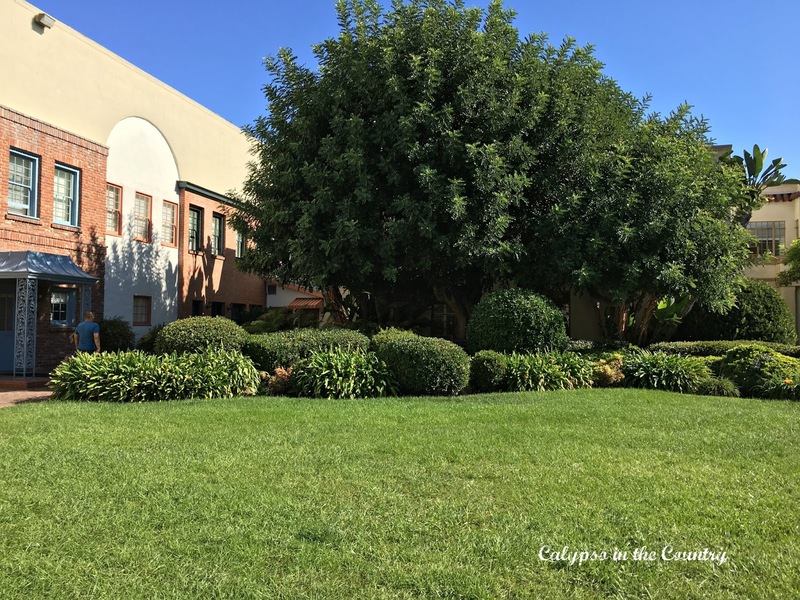 She had the park built to resemble her backyard so she could have publicity photos taken of her children here on the lot. 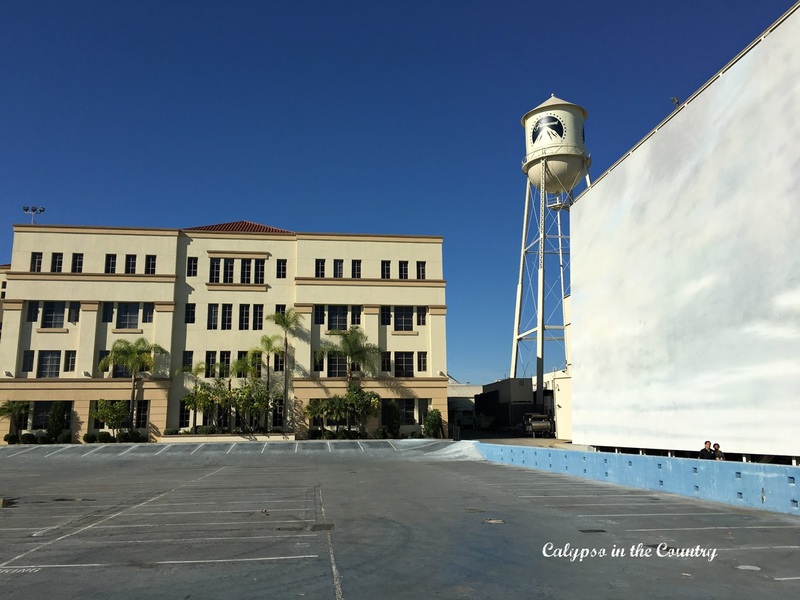 Those buildings to the left were the dressing rooms of Lucille Ball and Desi Arnaz. The park was also used as a backdrop for several TV shows. Greg from the Brady Bunch smoked his first cigarette here in an episode! 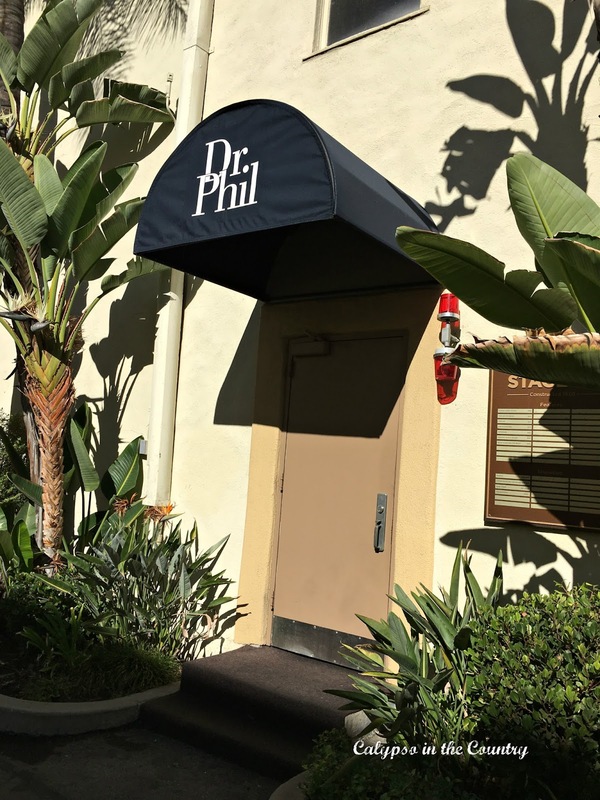 We were able to stop by the Dr. Phil set but photos were not allowed inside. Photos were not allowed inside the Grace and Frankie set either. I hadn’t heard of this Netflix show until the tour but based on the gorgeous set, I am going to start watching the show! The set house was designed to look just like producer, Marta Kauffman’s beach house. 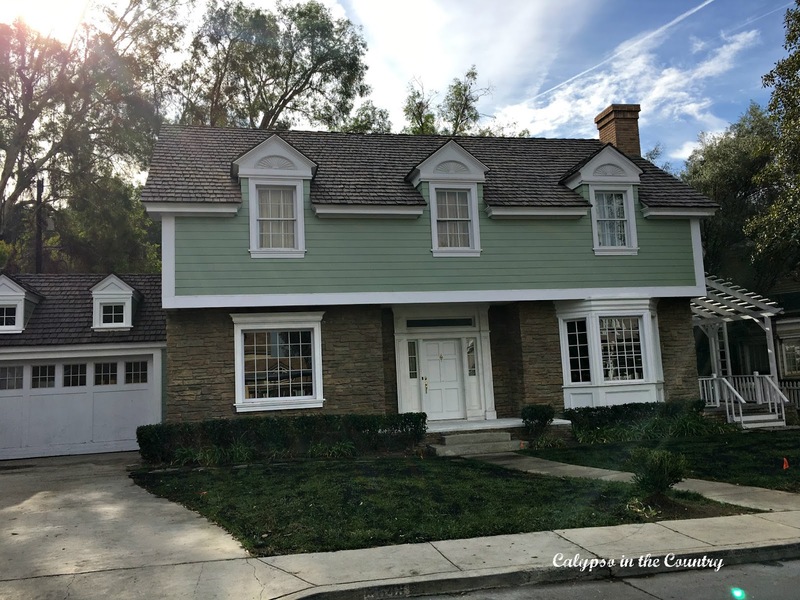 Luckily, one of my favorite blogs, Hooked on Houses gave a full tour of the house last year so be sure to check out her post! Let me know what you think! 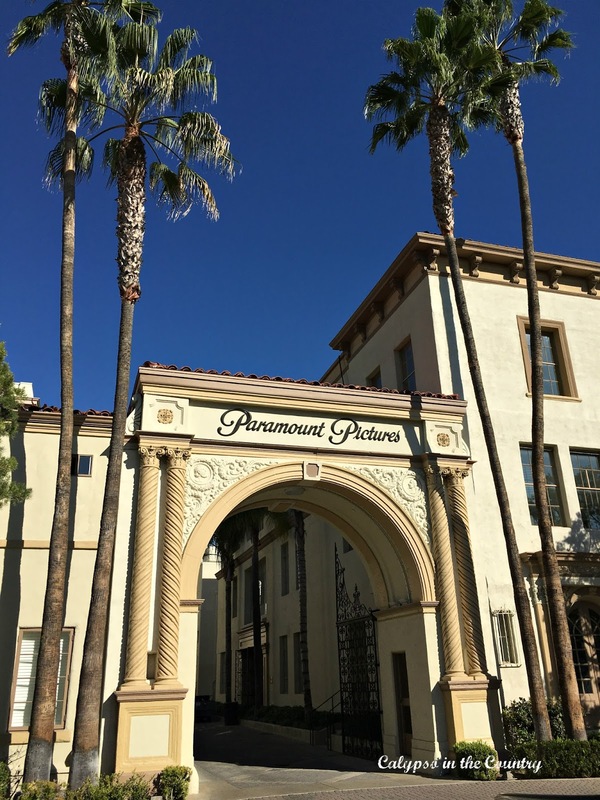 That was just a sample of the many things we saw at Paramount. The studio tour was definitely one of my favorite highlights of our trip and I highly recommend it if you are in the area! 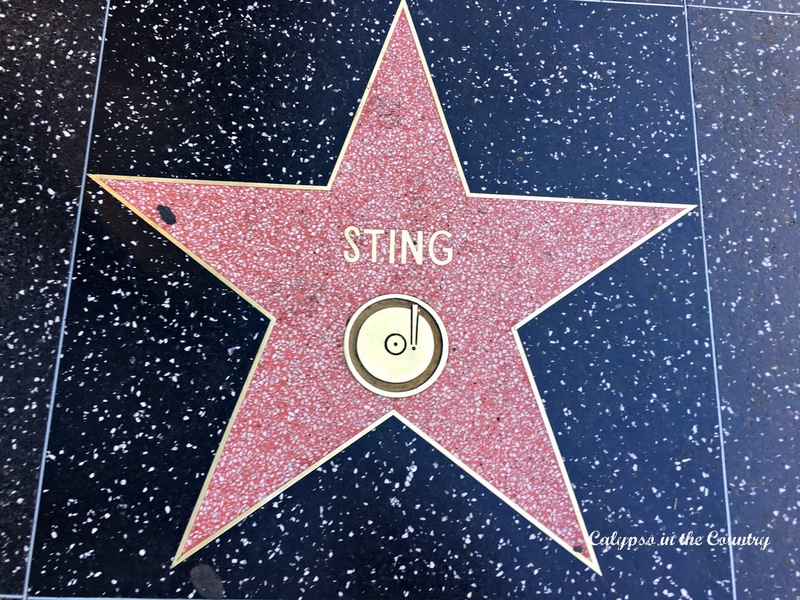 Since we were in Hollywood, we had to head over to the ultra touristy Walk of Fame. This area reminded me of Times Square in New York with its crowds of tourists and annoying, pushy street peddlers all trying to sell you something. None of us were that interested in staying there very long. 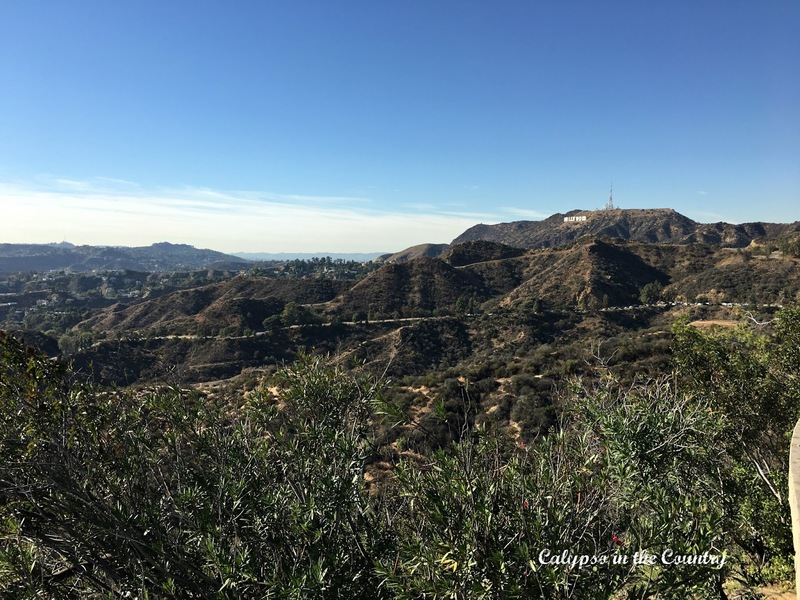 From there we walked over to the Chinese Theatre to see the hand and footprints of the famous Hollywood stars. 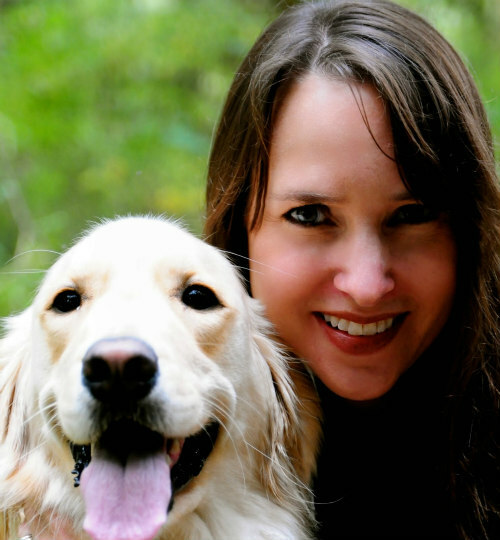 I am sharing this one for one of my favorite bloggers – Preppy Empty Nester! 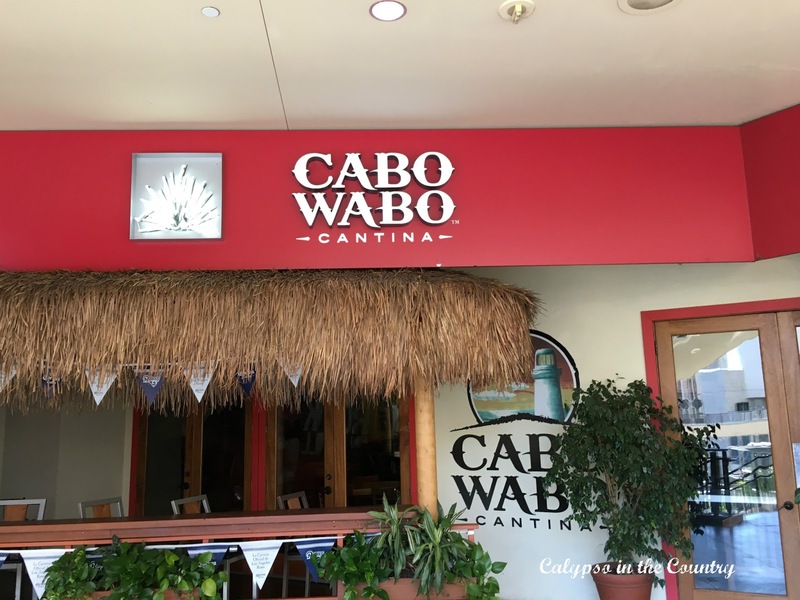 Cabo Wabo, the restaurant owned by rocker Sammy Hagar seemed like a fun place to go. Great nachos! You can see downtown LA way off in the distance. If we ever go back, I would love to spend more time up there. We just have to remember to go very early! By late afternoon, we were tired and had some time to check out the pool at the hotel. The pool is located on the 4th floor deck and had great views of the city. You could really appreciate the architecture of the hotel from there too! As planned, we met up with my husband’s college roommate again and this time his wife joined us. 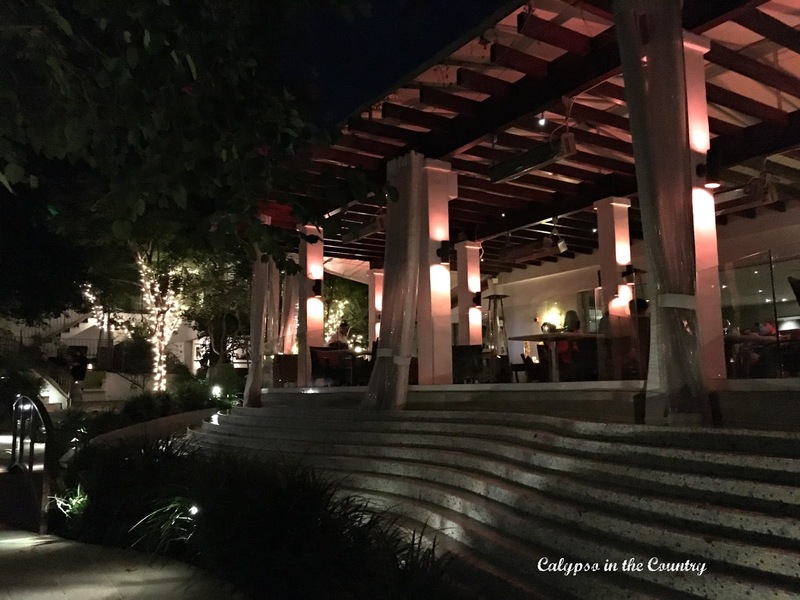 We had dinner at Cavatina, a gorgeous restaurant tucked away in the Sunset Marquis Hotel. This place was such a find! The beautiful gardens and glistening lights made us feel like we were on a tropical vacation somewhere…Apparently, this place is popular with the rock and roll crowd but we didn’t recognize anyone. We just enjoyed our evening with great friends and delicious food. A truly memorable experience! I knew visiting Universal on a Saturday could have us battling crowds again so we made sure we arrived at 8:00 am when the place opened! This is the fishing village from Jaws. I think this has been a permanent fixture on the tour for a long time. I remember it from when I took the tour about 20 years ago! It’s always fun when they drive us down Colonial Street to see the houses used in numerous movies and TV shows. 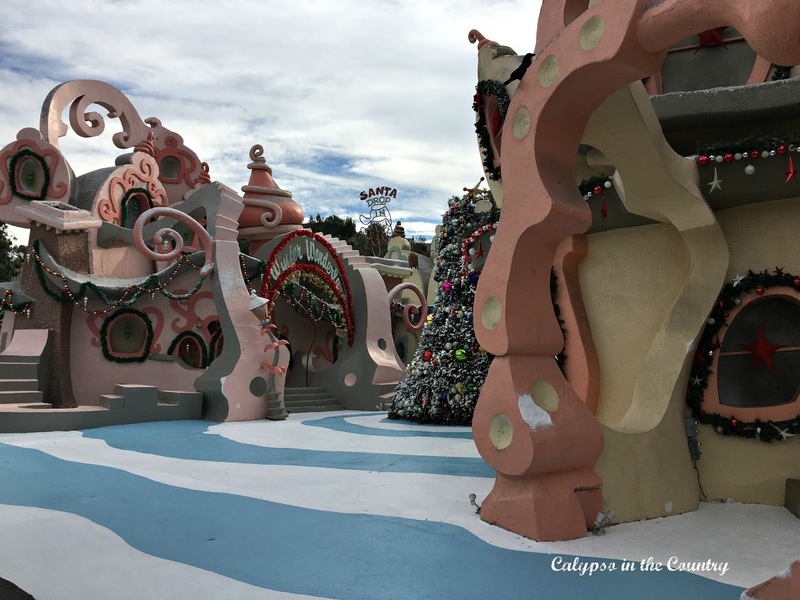 My kids love the Grinch movie so it was fun to see Whoville! My kids especially loved all the special effect parts of the tour where they got to wear 3D glasses and be involved in chase scenes. Overall, it was an exciting interactive experience! 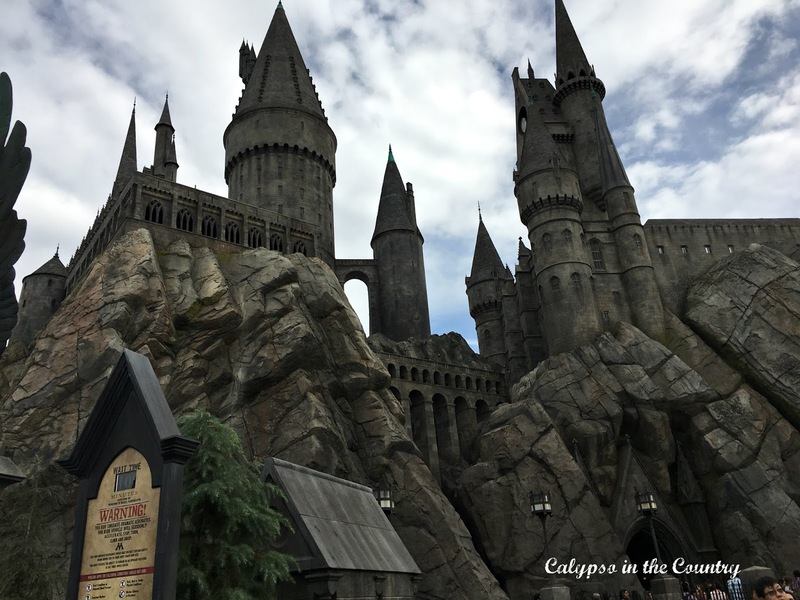 Sure enough, when we stepped off the tram from the studio tour, we noticed the lines of people already waiting to get on for the next time slot. From there we headed to the rides. The whole Harry Potter section was pretty amazing. Although my kids haven’t gotten into the novels yet, I have a feeling once they do, they will love them like everyone else does! How awesome is this castle? Unfortunately, we never made it on this ride because the lines were long…and then even longer as the day went on. But my kids were willing to wait, a couple times actually, for the Jurassic Park ride! I think this one was their favorite with its 84 foot drop at the end! 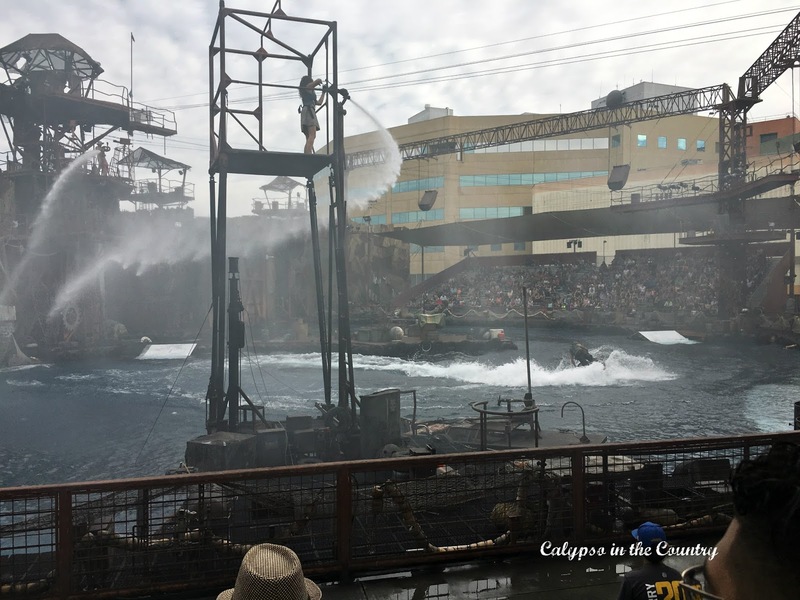 Another must-see attraction at Universal is the Waterworld stunt show! So what if we got a little wet because we sat in the “soak zone”! 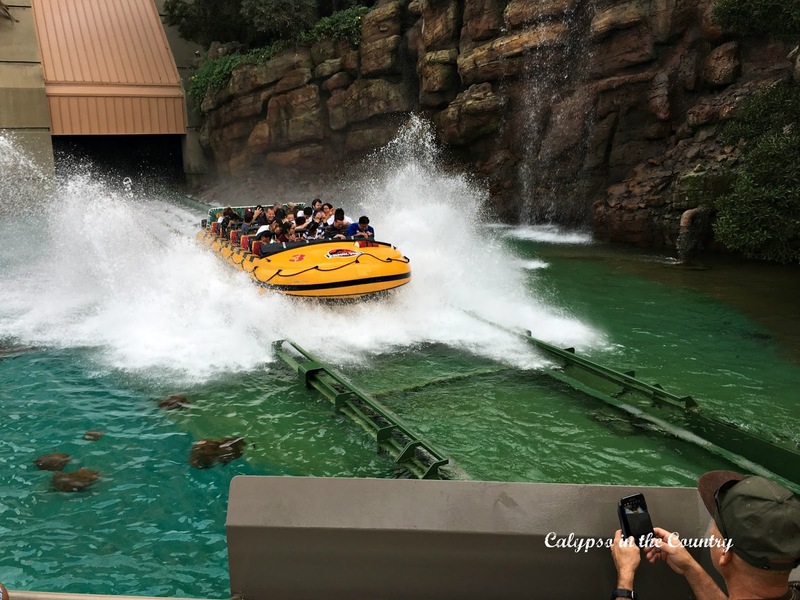 It was a spectacular action packed show with explosions, water chases and all kinds of special effects – everything that would appeal to two tween boys! Definitely one of our favorites of the day! My boys, who are 10 and almost 13 were at the perfect age to really appreciate all Universal had to offer. We spent the entire day there and I am sure they would go back in a second! You really can’t miss our iconic hotel as you drive up to it. 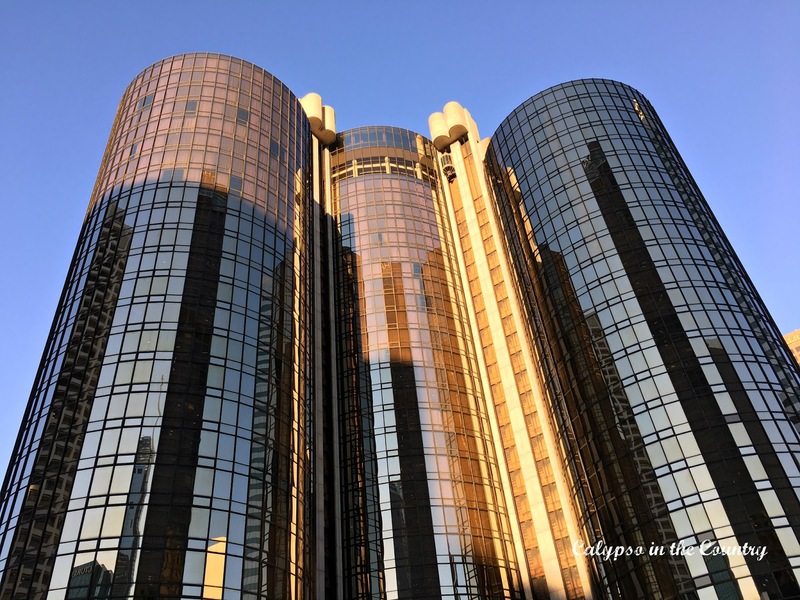 My kids loved riding the glass elevators each day and they also loved knowing that the Bonaventure has been used in many films over the years. You might remember Arnold Schwarzenegger riding a horse through the lobby fountains in True Lies. 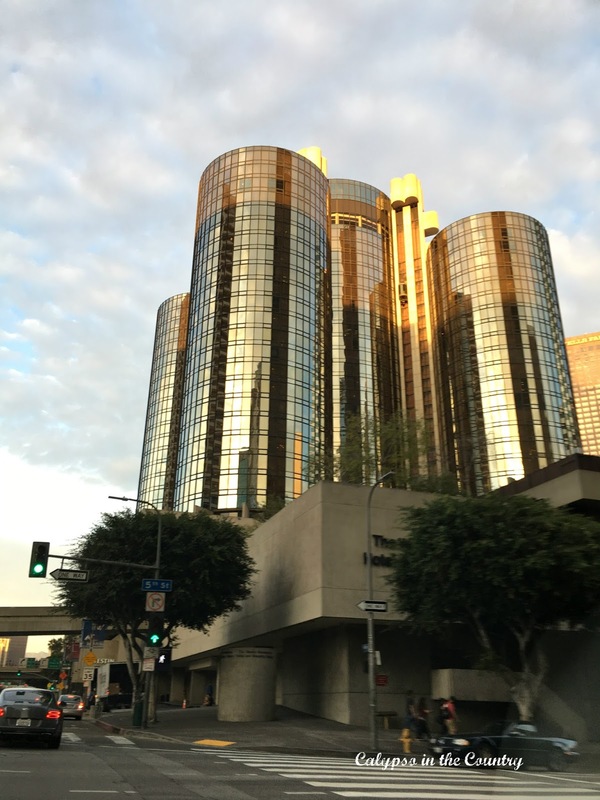 Yes, that was the Bonaventure Hotel! Now I think we have to watch a few of these with the kids so we can see the hotel. Too bad many of them are rated R. I guess they will have to wait awhile for those! Either way, it was exciting for them to see how many times the hotel was used in movies! That night, we had dinner at Il Fornaio, a bustling Italian restaurant in Beverly Hills. Since I read great reviews on the restaurant, I was not surprised when we loved the place…fabulous food, great wine selections and a friendly staff. The perfect way to spend our last evening! Early next morning, we had a leisurely Sunday brunch at the Lakeview Bistro in the atrium of the hotel and then headed to the airport. We were all sad for the vacation to end! And my kids were even sadder when they had to get up for school the next day after arriving home at midnight! They managed though and were excited to tell their friends all about their trip. It was definitely one of our favorite family vacations! 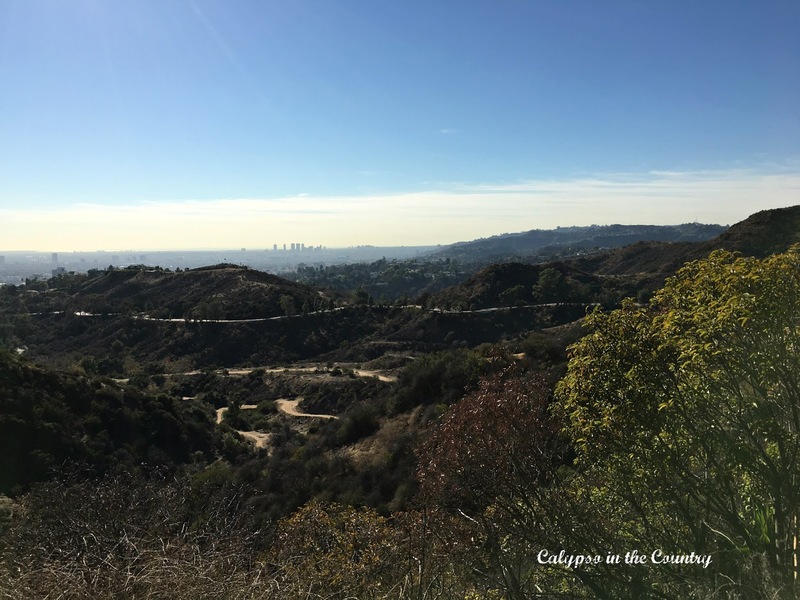 In case you missed the first two days of our trip to Los Angeles, you can find that post here – Los Angeles Trip – Day 1 and 2. Next Post Easy Way to Get Cash Back When You Shop Online! OMG Shelley! 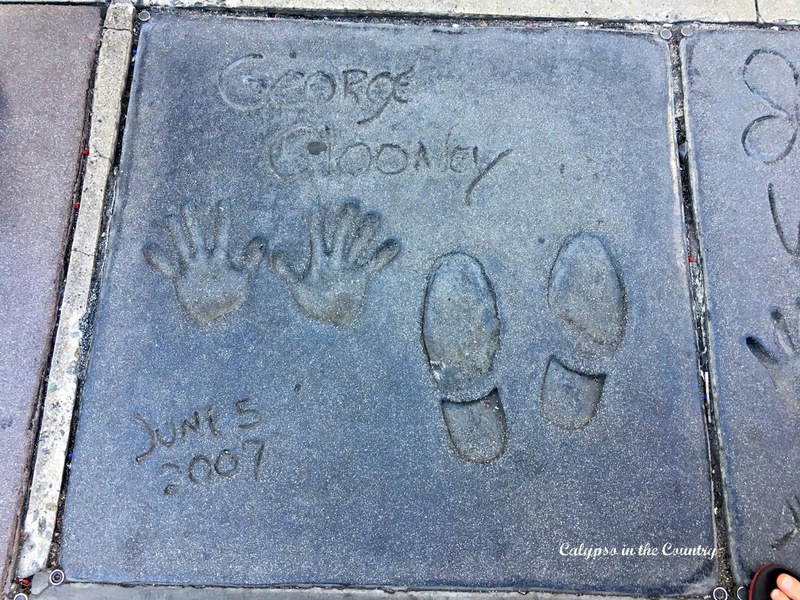 I don't know whether I am more jealous of you seeing George Clooney's hand and foot prints or the set of Frankie & Grace! I LOVE that show. I'm not surprised you never heard of it because it is geared towards the over 50 set. Not that I would know anything about that… What a fabulous trip!! Have a wonderful Thanksgiving and thanks for taking that pic for me. So much fun Shelley! Happy for you all! 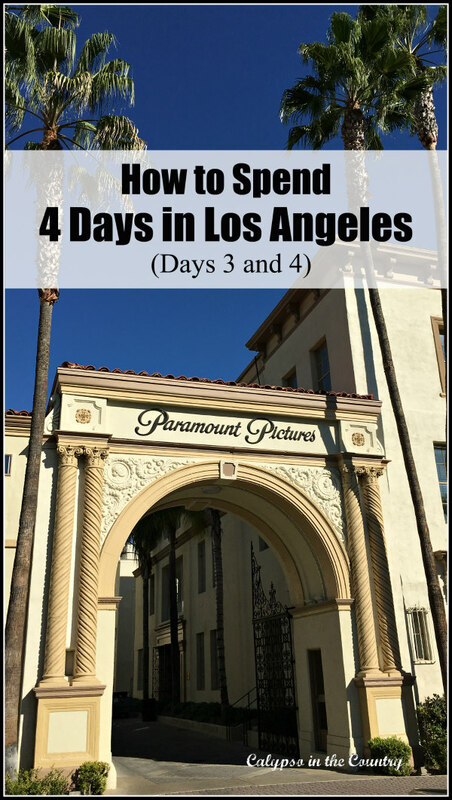 I've been to LA several times but never been to Paramount, it will be on my list next time for sure! Have a wonderful Thanksgiving! Wow, you really packed in a lot in four days! Great pictures! 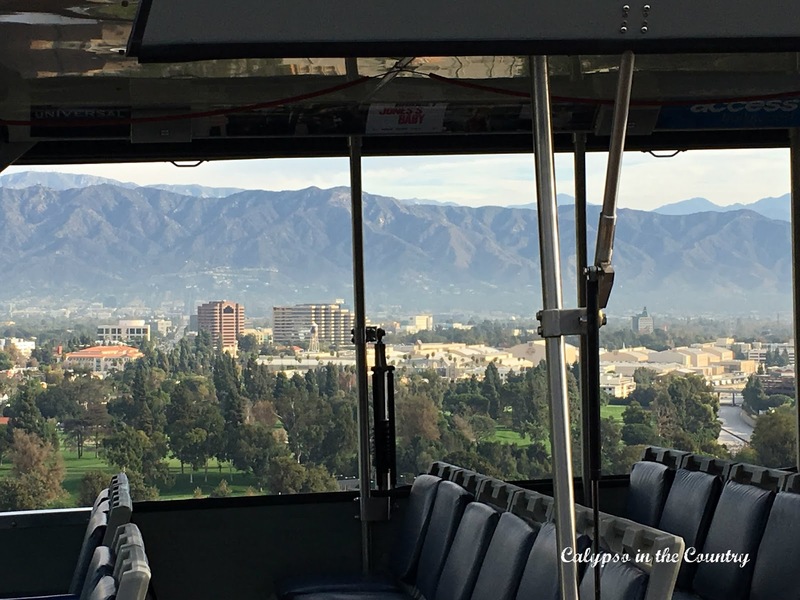 I haven't taken the Paramount tour either, and I've been to LA at least a dozen times. Now that I am on the east coast I don't see it happening, so I really enjoyed your tour. I watched the first three episodes of Grace and Frankie and was bored out of my mind, didn't care for it. Sad because it has a fabulous cast. Oh I am so glad you had a great time. Living there has kind of made some of these things "standard", but I agree with the kids, I love Universal Studios. 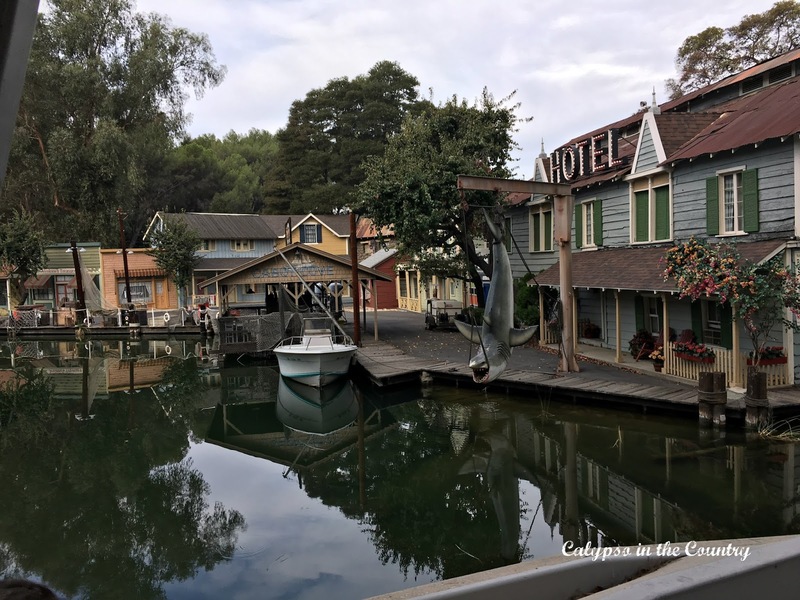 We were there when the opened for the first time and that water ride was later changed. We were totally soaked to the toes, so some people complained so much they changed it a little later on. Shelley, your trip was a whirlwind of activity and high energy, but with two boys you have to keep them active. 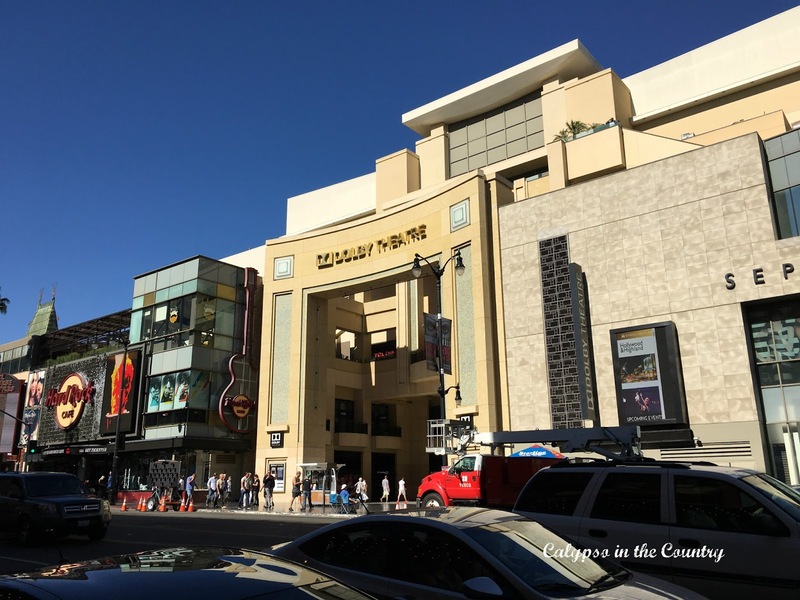 Your tour of Paramount really interested me, I would love to do that. I think you made great choices for dinner, hotel, and what to see. Thanks for taking me along! My niece moved to LA to years ago. This makes me want to visit her even more! Thank you for sharing at #OverTheMoon. Please come back next week and share what you have been working on!